In 1984 the Miami Sound Machine released their first major-label album, the multi-platinum success of which turned singer Gloria Estefan into the biggest Latin musician in the world and her husband Emilio into one of the most successful producers in any form of pop music. For the rest of the eighties, they maintained their upward trajectory and the Estefans fully transcended Latin-music stardom, becoming truly global pop stars in the process. In 1990, a semi-truck crashed into the Estefans’ tour bus during a snowstorm and Gloria broke her back. After a successful operation to stabilise her spine with two steel rods, she needed a year of intensive rehab. Although she managed to take part in the recording of a new album towards the end of this process, the Miami Sound Machine juggernaut had slowed somewhat and her English-language career never quite recovered from the lost momentum. In any event, the 1990s were already shaping up to be a more naturalistic decade in terms of production and presentation; the blaring horns and big bam boom of Emilio’s music was becoming old hat, redolent as they were of the Reagan-era excesses of the most excessive decade in that most excessive of American cities. With all this to consider, Emilio began to invest more of his time in his protégé Jon Secada, who had served time as an MSM backing singer and had already co-written some ballads with Gloria, at which he showed a talent. Secada’s eponymous first album duly got a full Estefan treatment, but in a modified and subdued form. Emilio’s signature synth-brass was largely absent, Secada’s breakthrough single being notably minimalist in arrangement. Aside from the vocals (Gloria’s voice is audible in the mix, and she was present in the video for a little extra commercial punch) the track was just bass, piano, a little synth, and drum programming with a notable Teddy Riley influence (this being the back end of the New Jack Swing Era). While it sounds surprisingly skeletal today, Emilio’s touch was never less than sure back then and the single hit no. 2 on the adult contemporary chart and no. 5 on the Billboard and UK Top 40 charts. 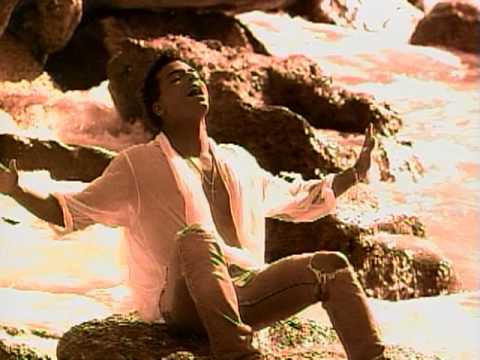 The moody black and white video with a wet-shirted Secada walking disconsolately on a beach probably helped too, but the song’s success is largely a result of canny production and Secada’s writing. Just Another Day is a surprisingly elusive piece for a commercial ballad, the verses not seeming to follow an exact structure, chords being held for varying lengths of time, changes being more dependent on the detours taken by a meandering, unhurried melody. It’s an odd structure. In the early 1990s a lot of songs — in surprisingly disparate styles, as this was true of house as much as grunge — were structured around progressions of a small number of chords (often four), repeating in defined, frequent cycles. Just Another Day is much more slippery. How much of it is design and how much is happy chance only Secada and his co-writer Miguel A. Morejon could answer, but it does some cool things where chords that end a short section of the verse sequence get unexpectedly held a long time, and then the vocal begins a new phrase over that same chord, subverting the expectation that he’ll go back and repeat the phrase we’ve just heard. It never feels like anything overly odd is going on (we’re always in 4/4, we’re always in the home key), but it definitely rewards close listening. It gives the impression that the verses are being made up on the spot, that they’re a spontaneous outburst of emotion, which is really appropriate to the song’s mood and subject matter. Without a strong chorus to pull it all together, the song would simply have floated up into the atmosphere and the chorus is the song’s trump card. 22 years since Just Another Day’s release (yes, we are now that old), the marriage of a passionately despairing lyric and a switch to the major key is still a move guaranteed to get my attention, and this song may have been the first time I noticed the trick. This entry was posted in Music and tagged 1992, adult contemporary, big bam boom, Billboard, brass, chord progression, chord progressions, chord structures, Chris Isaak, crossover, Emilio Estefan, Gloria Estefan, Jon Secada, Just Another Day, Latin pop, Miami Sound Machine, Miguel A. Morejon, mix fashion, New jack swing, Reagan era, synth, Teddy Riley, unorthodox chord progression, videos set on a beach on May 31, 2014 by rossjpalmer.